Dimitrie is a maker of tools, architect, designer and programmer. He is finding and speculating new overlaps between the web, code and design challenges. His main current focus is creating digital design communication interfaces that enable the collaborative definition of value for all the stakeholders involved in the design process. 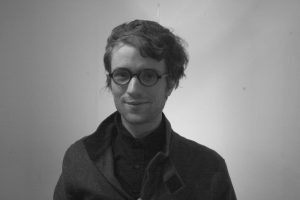 Now a Research Assistant at The UCL Bartlett School of Architecture in London, Dimitrie previously worked as an architect for the Brussels-based practice Bogdan & Van Broeck, and taught computational design in Stuttgart (ABK Stuttgart) and Berlin (TU Berlin). Since 2009, he is giving talks and tutoring workshops throughout Europe (TU Delft, TU Brno, TU Berlin, HTWK Leipzig, ZA Cluj) on information architecture, computational design and digital fabrication. He has also published several articles in print, mostly on critical theory related to the digital design paradigms (PLAT, Horizonte, Arhitectura).